Good Morning! I know that Monday is our normal "Marriage" day, but I have been struggling this week after hearing of the separation and imminent divorce of someone I admire. They have been married for 20+ years! They are a ministry family! How can this happen! 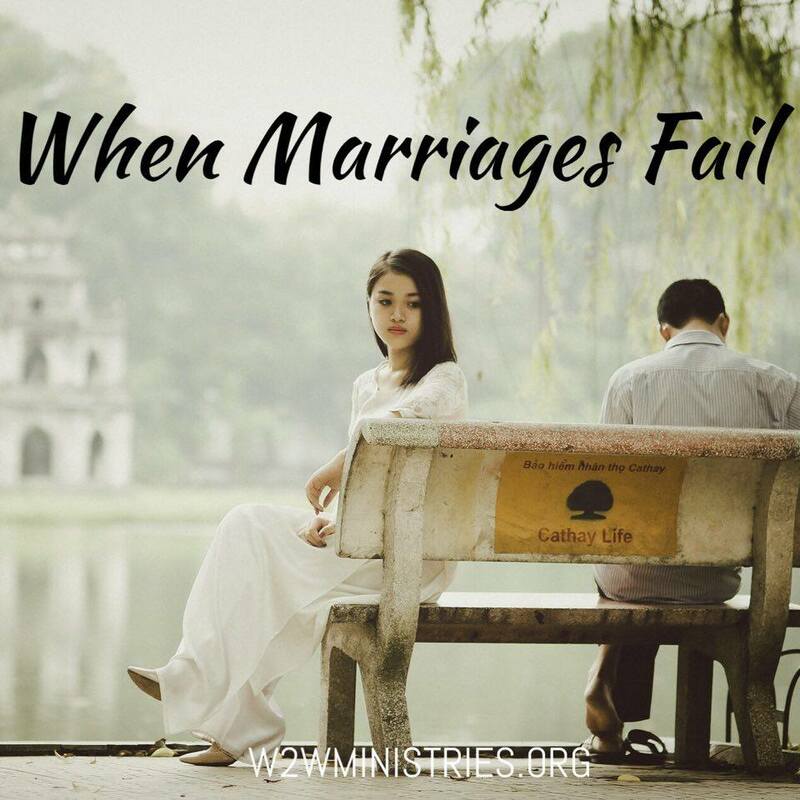 It's said that 1 in 2 marriages end in divorce...and that includes in the church! No, Christians aren't necessarily immune to the wiles of the enemy. But, the percentage of marriages ending in divorce in the church should at least be better than that of the world! After all, Christians are supposed to be living a life 'like-Christ,' hence the name, Christians! When did marriage become 'throw-away?' Now, I know that this particular couple I'm talking about has gone through extensive counseling which tells me that they weren't too quick to jump out of their marriage. However, when 1 of the 2 people involved doesn't want to or refuses to work on the marriage, there isn't much option for the other party. I've heard it said that the 1st, 7th & 20th years of a marriage are the hardest. I know in my own marriage, that seemed to be the case. The difference is made when we decide to not become a statistic. I also know that marriage is NOT 50%/50%!! It's 100%/100%!! Each person in the marriage must be willing to work 100% for the good of the marriage. It can't be only one of the couple doing all the work. We must understand this...MARRIAGE IS WORK! Anytime you have 2 individuals evolving into 1, as in a marriage, you have to work at it! You have to continue dating your mate AFTER the marriage takes place! It's important to remember WHY you fell in love with your mate! My heart hurts...for this particular couple...for the marriages of my family members...for the families that are affected by the decisions of the couple! My heart hurts! Jesus said, in Matthew 19:8 (NLT), "8 ...Moses permitted divorce only as a concession to your hard hearts, but it was not what God had originally intended." According to the world, marriage is temporary. God intended it to be permanent. I'll never understand the 'throw-away' attitude people, including Christians, have concerning marriage! The only thing we can do is pray...pray for our own marriages, pray for the marriages of our family, pray for the marriages of our friends. And pray for marriages in general! I pray that this particular couple is able to work it out. I pray that hurts can be healed and that they can move forward together! Only time will tell. I challenge you to take some time today to pray for your own marriage. If you aren't married yet, pray for your future mate/marriage!